On the first day of fall classes in 2017, Louisiana State University (LSU) officially welcomed its new live tiger mascot, Mike VII! 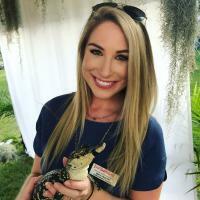 Baton Rouge&apos;s new furry friend Mike the Tiger, who has both Siberian and Bengal characteristics, was donated to LSU from the “Wild at Heart Wildlife Center” sanctuary in Florida. Mike VII just celebrated his first birthday on Sept. 13, 2017, and the playful cat is already enjoying becoming accustomed to his new home – a state-of-the-art, 15,000 square foot habitat that opened in 2005. Fans come from near and far to visit Mike the Tiger in his habitat, known as one of the finest and largest in the United States. A true sight to see, Mike&apos;s habitat incorporates natural substrates, lush plantings, a large Live Oak tree, a beautiful waterfall, and a stream evolving from a rocky backdrop overflowing with vegetation. You may just see Mike the Tiger wading in his pond, or playing with his ball and other toys! It&apos;s even rumored among LSU students to be good luck if you catch Mike swimming when you pass by on your way to class. 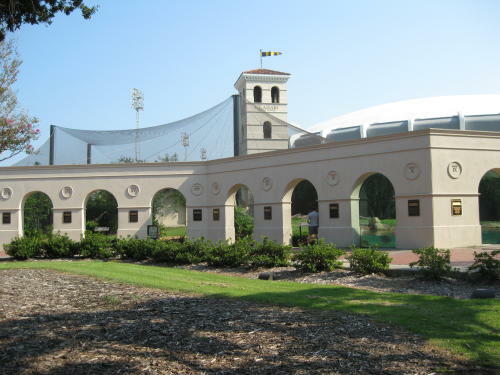 Mike VII is the university&apos;s 7th live tiger mascot, the first coming to campus in 1936 and named after LSU Athletic Trainer, Mike Chambers, who was instrumental in securing him. He is cared for by the LSU School of Veterinary Medicine and his personal veterinarian, Dr. David Baker, oversees the overall healthcare and well-being of LSU&apos;s Mike the Tiger mascot. Baton Rouge is happy to welcome the newly-crowned Mike VII – long may he reign! 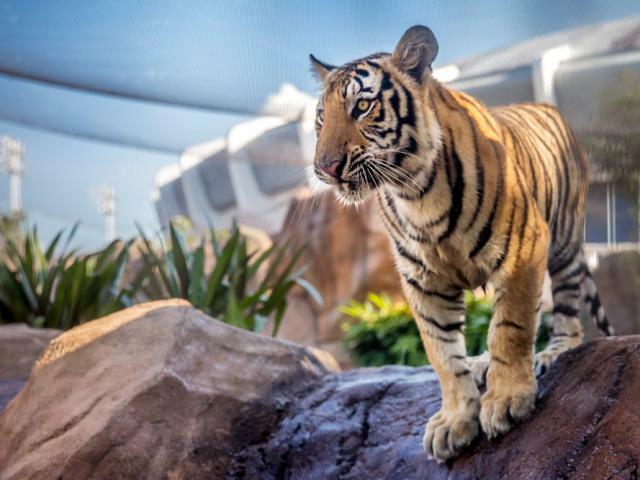 Stop by LSU&apos;s Mike the Tiger Habitat on campus before the next home game, or make a day trip to Baton Rouge to welcome Mike VII to the city and tour LSU&apos;s beautiful campus!